Some form of engraving is required for all orders. Please leave any engraving notes in the order notes at checkout. Custom engravings (fingerprint/handwriting/misc): Message us photos of custom engravings directly. 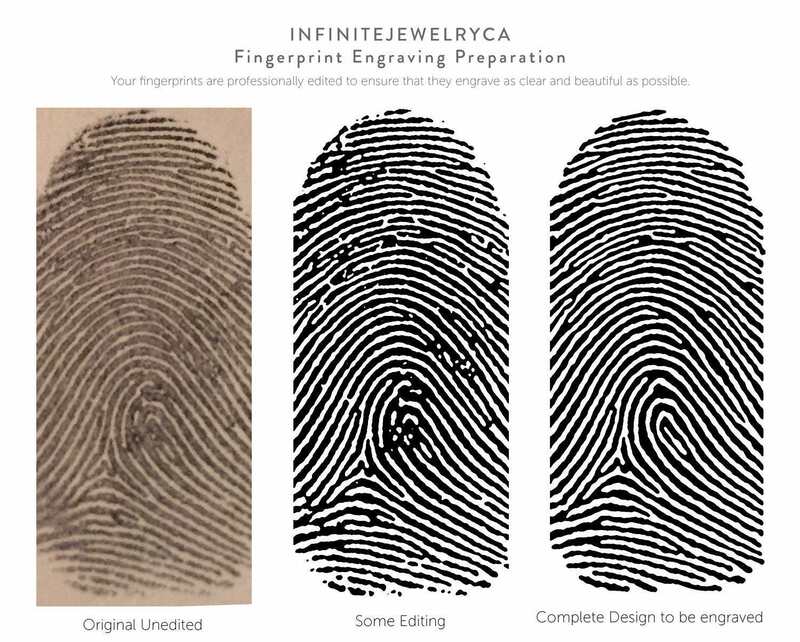 Our engravings are not "deep" and only engrave onto the surface of the ring. You can feel them them to the touch. 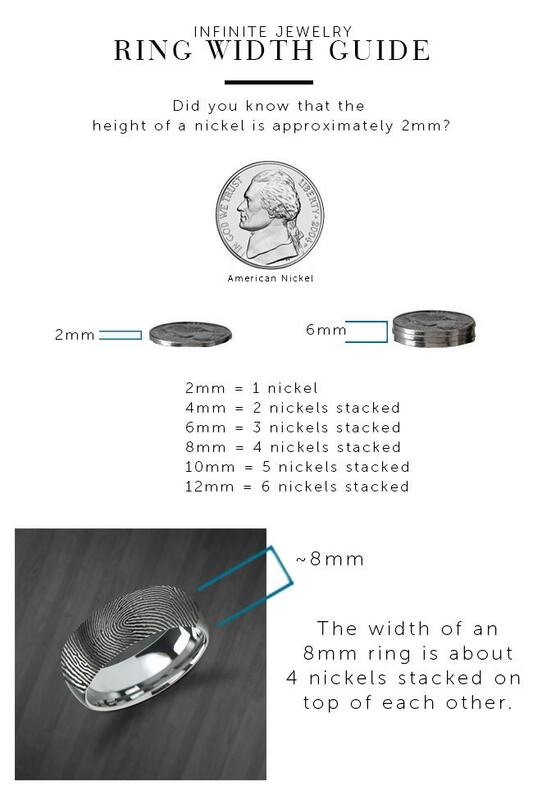 8mm is the default width for this ring. 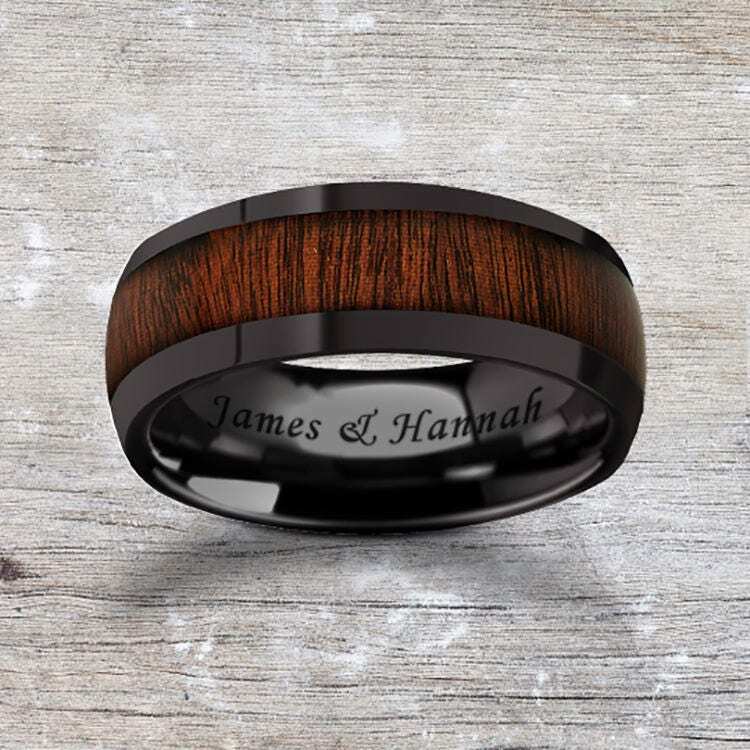 This is a domed & polished black ceramic rose wood inlay ring with a custom engraving of your choice inside of the ring. Rose wood is universally identifiable for it's unique dark horizontal lines and overall dark brown appearance. All of our wood rings have a clear resin covering the natural real wood inlaid into the center. Black ceramic is someone what scratch resistant, but is not indestructible and can scratch if hit against blunt objects or dropped like all jewelry. 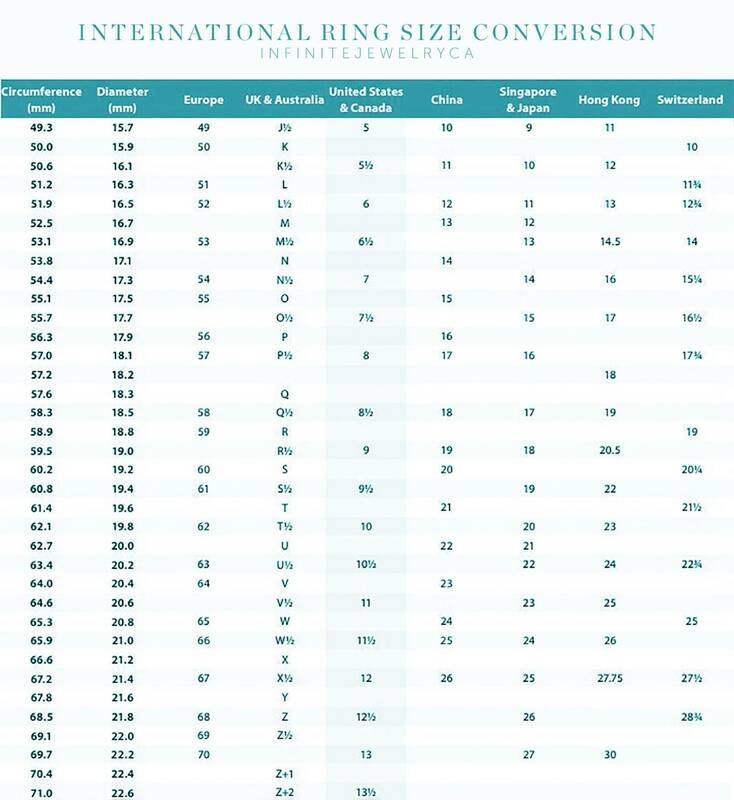 It's highly suggested that you obtain your ring size from a local jeweler prior to ordering. If you order an incorrect size, all of our rings are covered by a lifetime size exchange warranty. If your ring does not fit properly, please contact us directly and we will provide instructions on how to obtain a new size. Engravings for the new size is free for the first exchange, but will be charged for all exchanges after. Have questions? Please do not hesitate to message us! We work hands on with our rings and know them inside and out.